Do people bother removing the ‘bubbles’ on their tyres after a track day or just let them wear off with normal useage? Done a few track days now but only 1 in the dry hence the attached pic is new to me! Cool cheers guys saves me a bit of time pulling them all off! Glad I found this thread. 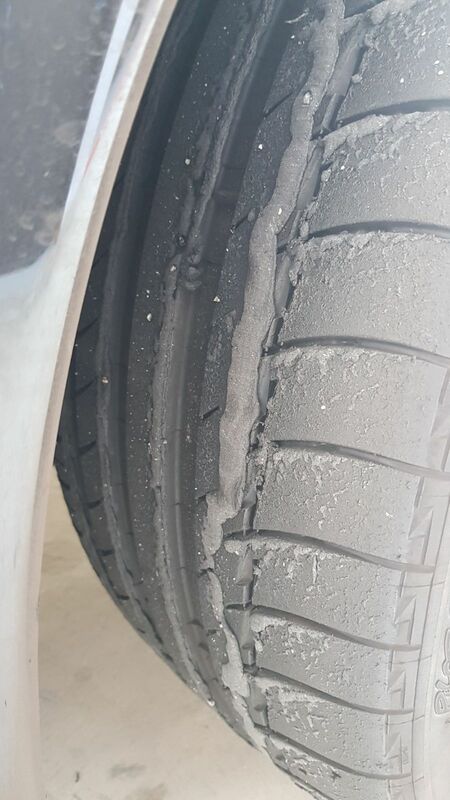 Just did my first track day and my tyres looked like that. Freaked me out when I saw it..
They’re not bubbles from your tyre, it’s bits of rubber from the track sticking to your hot tyres. 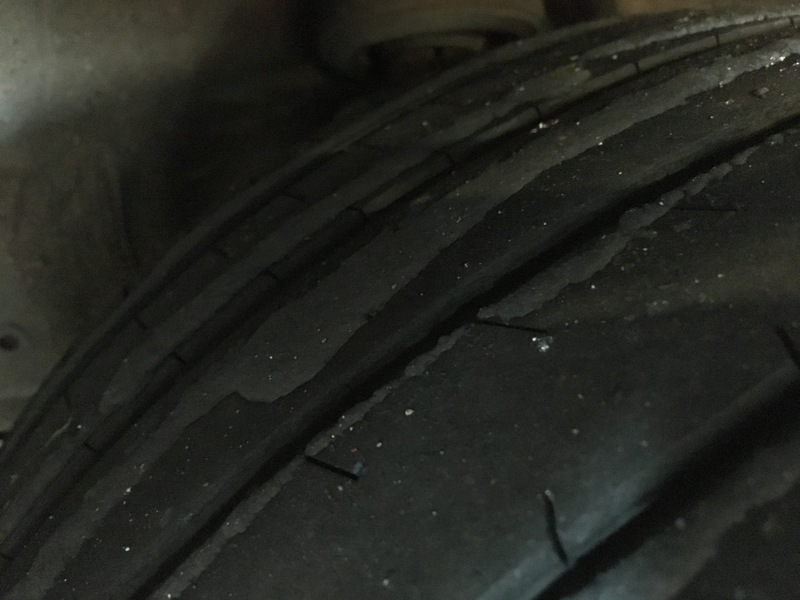 So yes, think of it as a bit of free tread depth that will fall off when the tyres get hot on the road. Thanks. I had always imagined the marbles to be like small bits of rubber that you see on the F1car tyres at the end of a race. Wasn't expecting to see long pieces of rubber like those in my photo! Try to stick to the racing line, as the cast off rubber is usually on the side of the track. You will also find that there is less grip when running on the all the dirt, dust, rubber, etc. and if you do go offline, it can take half a lap to clean up the tyres again. True. I was referring to dry conditions.